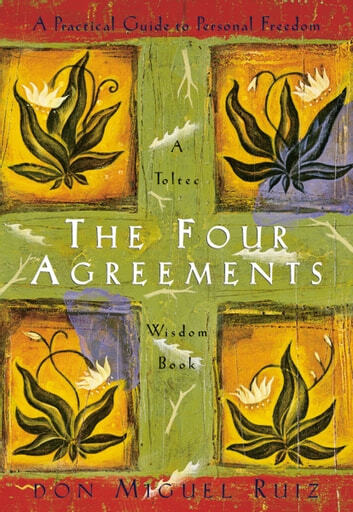 Don Miguel Ruiz is the international bestselling author of The Four Agreements (a New York Times bestseller for over a decade), The Four Agreements Companion Book, The Mastery of Love, The Voice of Knowledge, The Circle of Fire, and The Fifth Agreement. The teachings of Ruiz are best known for tranforming complex human issues into simple common sense — a talent that has earned him millions of fans, international acclaim, and a vote of approval from Oprah Winfrey. Sales of his Toltec Wisdom Series have soard to over 10 million copies in the United States. Janet Mills is the founder and president of Amber-Allen publishing. She is also the coauthor, with don Miguel Ruiz, of six books in The Toltec Wisdom Series, creator of The Four Agreements for a Better Life online course, and editor of Deepak Chopra’s bestselling title, The Seven Spiritual Laws of Success. Her life’s mission is to publish books of enduring beauty, integrity, and wisdom, and to inspire others to fulfill their most cherished dreams. Mind opening! I like to collect wisdom quotes from history and various religions, so the idea of Toltec wisdom piqued my interest. 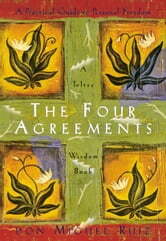 The four agreements good advice. Such a good book to slowly help with changing a negativd perspective on life. Life changing! Simple steps to follow that will make you think differently about life and transform it into one that is so much easier and happier! Great basic concepts to live ones life by.